We welcome you to Hotel Dieu Shaver Health and Rehabilitation Centre. Our team is driven by a mission to restore health, rebuild life, and renew hope by providing extraordinary care to every patient that walks through our doors. We cherish life, welcome the poor and marginalized as our peers, and witness Christ's love to all. As a Catholic Healthcare provider, we integrate our mission and values into everyday decision-making and begin our meetings with prayers for strength and guidance, and we face our daily challenges with attention to spirituality, as did our founding Sisters – The Religious Hospitallers of St. Joseph. We take pride in our dedicated and passionate staff, who take a person-centred care approach. Person-centred care involves respecting human dignity through patient advocacy and empowerment, and respecting the patients' autonomy, voice, self-determination, and participation in decision-making. Regardless of the reason you require care at Hotel Dieu Shaver Health and Rehabilitation Centre, our team is committed to helping you achieve your goals. We want you and your family to feel comfortable and to be actively involved in your care. The information on this website will familiarize you with hospital services and policies, and will answer many of the questions you may have during your hospital stay. 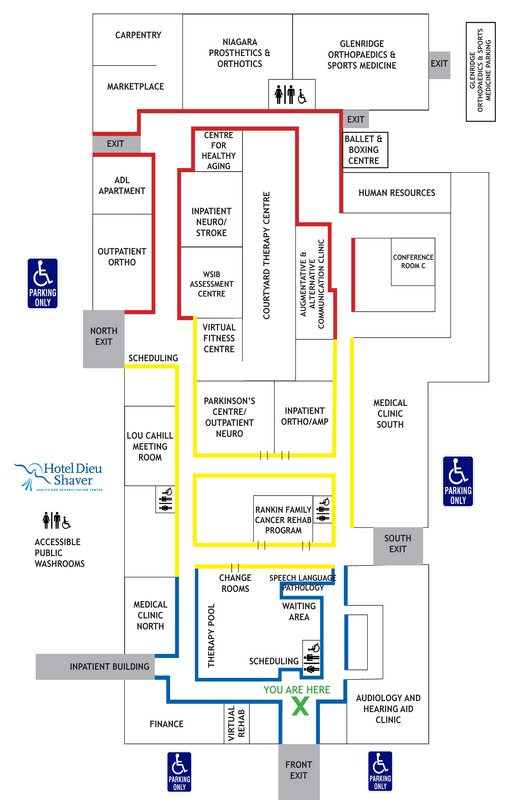 If you have questions that are not addressed here or in our Patient & Family Handbook, please do not hesitate to request assistance from any member of your health-care team.Please click on a link below for information about the Inpatient Programs at Hotel Dieu Shaver.